The Tanglewood Festival of Contemporary Music has been featuring some big name soloists this year: Emanuel Ax and Peter Serkin have already appeared. Saturday concert was widely anticipated because of the presence of Dawn Upshaw, whose appearance in the first half in Michael Gandolfi’s Carroll in Numberland was perhaps responsible for the largest audience I’ve seen at an FCM matinee (all of the FCM events so far have been extremely well attended). The program once again showcased composers who all had some previous connection to the Tanglewood Music Center; and all on this day had been born between 1955 and 1959. Andy Vores (TMC 1986) is well-known to Boston audiences through his chairmanship of the composition department at Boston Conservatory, and his works appear regularly on contemporary classical programs. His Fabrications 15: Amplification from 2013, came from a 32 piece Fabrications cycle for a wide variety of ensembles. The title “Fabrication” is meant to hint at the process or mechanism that underlies and motivates the piece—in contrast to a piece driven more overtly by programmatic elements. Fabrications 15 was inspired by an extremely slow practice session of Scott Joplin’s Peacherine Rag that Vores overheard in Cambridge. Written for flute, clarinet, piano, violin, cello and percussion, its extending the use of percussion in chamber works is becoming a hallmark of FCM pieces this year. The first two-thirds consists of a restless procession of episodes, from the chunky opening chords to a ghostly section where the marimba is played with thin metal strikers and the winds engage in weird and beautiful quarter-tone melodies. Joplin makes an audible appearance about two-thirds of the way through, snapping into focus the varied musical material that preceded it, only to see it all evaporate as the work closes. Under Christian Reif, the New Fromm Players (Martha Long, flute; Samuel Rothstein, clarinet; George Nickson, percussion; Andrew Hsu, piano; Samantha Bennett, violin; and Jesse Christenson, cello) emphasized strong the contrasts and cinematic qualities of Fabrication’s changing moments. Marti Epstein (TMC 1986, faculty 1990, 1997-2015) teaches at the Berklee College of Music and is on the composition faculty at Boston Conservatory. Hearing Sibelius’ Swan of Tuonnela by the BSO with English horn player Rob Sheena inspired her English horn Quartet. Sheena is on this year’s TCM faculty, so he was available for this performance, joined by Pyung-Kang Sharon Oh on violin, Kurt Tseng on viola and Ariana Nelson on cello. In one movement with five brief sections, it opens with single notes sung by the English horn, responded to and supported by chordal clusters from the strings. This evolves into a section of gentle canonic counterpoint. This process is repeated—again a section of chords and then one of canons—and finishes with a section which combines these two textures, with sustained notes intoned in counterpoint. Wistful, even a little mournful, with no sharp edges, its transparency beguiles. Sheena’s distinctive musical persona can make even isolated notes speak melodically; the strings were delicately responsive to his subtle inflections. Augusta Read Thomas’ Selene Moon Chariot Rituals, one of the many TCM commissions was written for percussion quartet combined with string quartet. For a relatively young composer, Thomas has already a long and successful career. She was in residence with the Chicago Symphony for ten years, and has a substantial discography. Rhythmic liveliness and an improvisatorial quality characterize her style, and Selene impressively employed both characteristics, along with an idiosyncratic sense of tone color. Arriving halfway into a Festival already characterized by many pieces that use percussion and which have experimented with tone color, Selene is distinctive in the way it attempts to blend strings and percussion, though this experiment may need some more adjustment. Much of the time the strings were overwhelmed by the percussion: a single, strongly struck note on a vibraphone could easily obliterate a figure in the cello. Thomas often has percussion and strings attack at the same time, as if to unify their sounds, this tactic succeeded most when the sounds were both relatively quiet. Interestingly, the strings appeared to have microphones attached to them, but nothing in the program suggested they were meant to be amplified. The music itself is joyful and active, but the arrangement was oppressive. The visual stage picture only emphasized this: one saw four female string players surrounded by four male percussion players, the string players seated, the percussionists standing behind their barricades of vibraphones. The ensemble (Annie Kuan-Yu Chen and Jeongmin Lee, violins; Erica Schwartz, viola; Francesca McNeeley, cello; Robert O’Brien, Brian Maloney, Kirk Etheridge and Andrew Johnson, percussion) played elaborately detailed and technically demanding composition with intense focus and concentration. Conductor Marzena Daikun did admirable work keeping the many virtuosic parts together. She probably could not have done much to help with the balance without draining the percussion of their energy. Steven Mackey’s Madrigal (a TMC75 commission and world premiere) also used a percussion quartet—this time with solo voice, finding better success. Mackey (TMC 1984, faculty seven various years) wrote the text for Madrigal, designing it so that the sounds of the text matched exactly what he needed while writing the music. This apparently led him to choose not to have the text printed in the program, feeling the text and the music were a unified whole. Later he changed his mind, but it was too late. As a compromise he prefaced the music with a reading of the not unattractive poem about attraction with some interesting archaisms. As it turned out, it wasn’t really necessary to have the text to appreciate Madrigal. The percussion writing is inventive and even tricky at times, but it all lands very easily on the ear. Mackey has an especially varied musical background: he started playing electric guitar and still performs with his band Big Farm; at the same time he is currently chair of the department of music at Princeton. Mackey’s involvement in popular music may be what gives Madrigal its easily accessible surface, but some very tricky, very detailed work is going on here as well, easily heard in the polyrhythms in the wood block at the opening. Madrigal benefited from mezzo-soprano Kristen Gornstein’s ringing, pure sound that easily projected over the percussion. The vocal line is long and lyrical, enough so that the text was not actually very audible: all of Mackey’s contortions over how to present the text really didn’t seem to be worth the worry. Even without perceiving the connection of text to sound, the effect was extremely engaging. Carried over from the Thomas, the percussion personnel were conducted by Ruth Reinhardt. Bright Sheng (TMC 1985, faculty 2001-2002, 2004-2005) recast his earlier marimba concerto Colors of Crimson as his TMC75 commission. His reduction for an ensemble of 12 (flute, oboe, clarinet, bassoon, horn, piano, plus strings with double bass and solo marimba) came with the title Deep Red, the color Sheng associates with the marimba. Born in Shanghai, Sheng lived through the Cultural Revolution in a remote part of China near Tibet, before coming to New York in 1982. He writes in an idiom that is traditionally Western, to which he has added timbres and gestures that sound (to this relatively ignorant listener) clearly Chinese. In this respect, Sheng is doing what a composer like Brahms (in his Hungarian Dances) or Dvořák did to cope with the advances in classical technique: they remained conservative, while bringing in new elements and a personal voice to create something new and unique. The marimba is a challenging solo instrument: it has a distinctive voice that is relative homogenous over the range of the instrument, and although the attack of notes can be changed by using different mallets, that change is usually all or nothing. Sheng expertly assembles a long series of developmental episodes that allow the listener to note changes in the solo part without sacrificing any sense of architecture. The solo part is exciting, not only for its virtuosity but for the physical demands on the player: George Nickson moved smartly and sharply back and forth across the instrument, a visual counterpart to the aural material. The work is unique, emotionally present, easily comprehended, virtuosic but not showy, and received a powerful and energetic performance with the composer conducting. Gandolfi’s TMC75 commission created a sensation for the crowd. Yet both the star-focused audience and the piece itself felt like an anomaly for the FCM. Several of his works, have given me the same impression of a mercurially intelligent and restless musical mind that spends its time making glittery and attractive show pieces, expert ventriloquisms based on old classical models. (Caveat: I did not hear his Organ Symphony, premiered earlier this year by the BSO, which I am led to believe is a rather more serious effort). Carroll in Numberland, is the most egregious of these pieces, a brief showy work that sounds like Martin Gardner (the Scientific American writer) meets Little Shop of Horrors. It is scored for brass, bass, percussion and piano, with soprano solo with a “backup” trio of female singers, it sets a handful of texts by Lewis Carroll to frankly popular and, to my ears, rather goofy music. 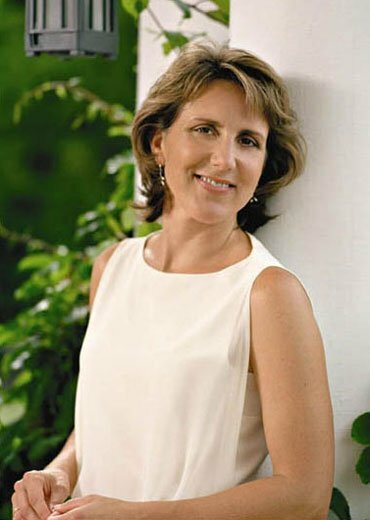 Dawn Upshaw’s inimitable personality shone through in the solo line: her unique sound has become more profound as time has gone by. It was a shame this was all we got to hear her sing. She certainly seemed to enjoy herself, and not only jazzed it up when necessary, she happily engaged in some game-show schtick when the music went into a “tick-tock” as we waited for the answer to a Carrollian puzzle. Gandolfi might have a very bright future as a composer of musical theater, and I mean this as praise: I think of him as potentially having a voice like Sondheim’s, which is informed by contemporary classical writing (Sondheim was, after all, a student of Milton Babbitt’s). In fact, I seriously think that the FCM should consider holding a late night concert of music written and performed by the composers and students in popular genres; I am certain most of the musicians have very catholic interests. Perhaps we could hear Steven Mackey jam on tunes from his band; and at John Harbison’s anniversary concert at MIT earlier this year we heard a number of very attractive songs he wrote in the style of the Great American Songbook. Serve drinks, and keep Ozawa Hall open past midnight. Carroll in Numberland would be an enjoyable centerpiece to such an evening. But it found no comfortable company in this concert—a discomfort made only more profound by a ham-handed attempt to commemorate Gunther Schuller’s passing by incorporating a tone-row typical of Schuller at the moment where (the program note tells us) Gandolfi learned of his passing. The row is quickly and obviously translated into a dirge and then a chorale, which brings the piece to halt. It is then all but forgotten, as we return to the same ditzy music that opened Numberland. As ever at the FCM, excellence and precession obtained. Austin Williams and Kathryn Driscoll, trumpet; James Tobias, trombone; Dylan Barber, percussion; Rich Coburn, piano; August Ramos, double bass were tight, and the backup trio (Nola Richardson and Alison Wall, soprano; Zoe Band, mezzo) were idiomatic, if a bit awkward when called upon to ham it up. My caveats aside, Numberland was received rapturously by the audience. Yet as the ovation went on, I couldn’t help but wish we could have heard Upshaw in something more substantial, and that this was a distracting sideshow that drew attention from the other works on the program which struggled to find something valuable and lasting.